labels for aerospace parts. These also meet SAE AS5678 and GS1 EPCglobal Gen 2 standards that are used throughout the aerospace industry. 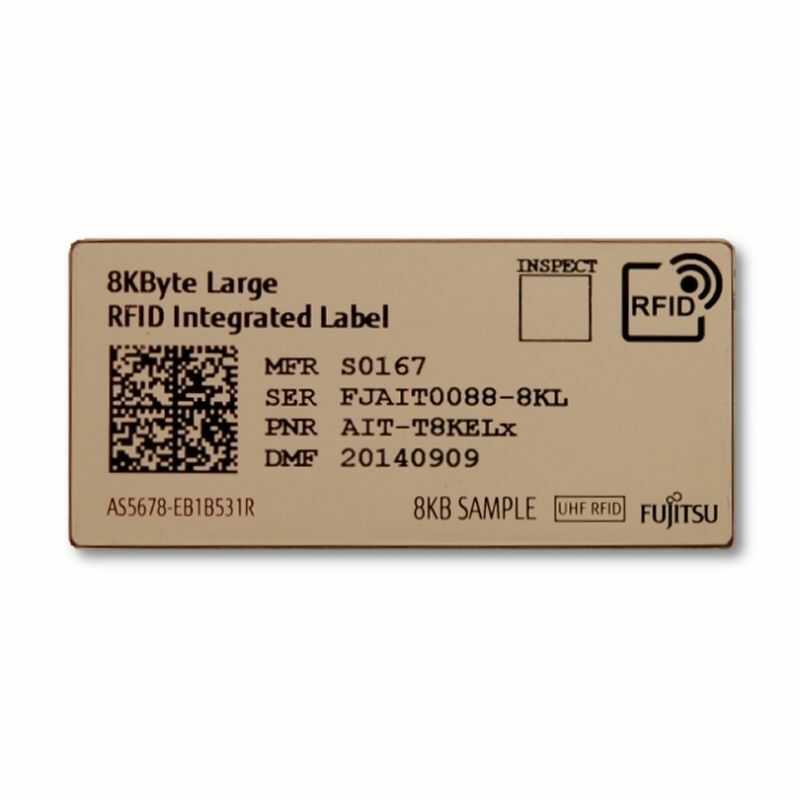 The labels support RFID, bar code and text that can be used on metal and non-metal materials. Available in three physical sizes: large, medium and small. Each size comes with two memory options, 1 KB and 8 KB, to meet all kinds of item identification needs.